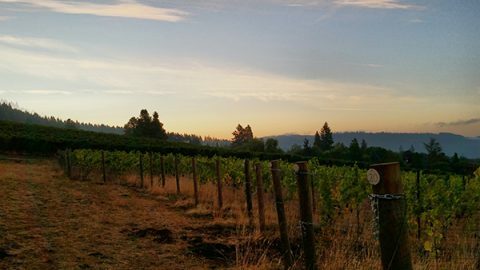 When we moved to Newberg from Cincinnati, Ohio, and began sketching out our vineyard block planting plans, we knew we’d be dedicating a portion to Seyval Blanc. The grape, a hybrid, has characteristics similar to Sauvignon Blanc, yet does well in cool climates—like the East Coast, Finger Lakes, England, and… we figured here as well. Besides, Seyval Blanc was one of the wines Dave won an amateur national winemaking competition with back in 2011. It’s a big part of our story. And we like drinking it, so there’s that. So we ordered Seyval Blanc cuttings from New York, had them grafted, planted them back in 2015, and crossed our fingers that the vines would take AND make a tasty wine. Our theory proved correct when we harvested the entire 2017 crop of 100 pounds and made—wait for it—a whopping 23 bottles. To taste it, you had to be in the wine trade media, wine industry or an ultra-premium member of Fanfare Club (aka Sara’s Mom). If you wanted a taste of one of the 23 bottles of 2017 Bells Up Estate Seyval Blanc, you had to be lucky. 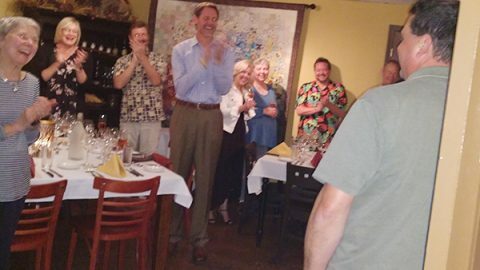 Photo courtesy of Hayley’s Cellar. That brings us up to 2018, when we harvested and processed 700 pounds (again, the entire crop) on Sunday, September 23 (see the next two photos below). 2018 Seyval Blanc on the vine, just waiting to be picked. Total 2018 Estate Seyval Blanc total harvest: 1 picking bin, 700 pounds. We’re bottling it this week, and it’s safe to say we’ll have more than 23 bottles this time. Meaning the time had finally come to give this wine a name. There couldn’t be a more appropriate name for our historic wine. Want to get your hands on a bottle of 2018 Helios Estate Seyval Blanc, the historic first-ever wine produced from the first-ever planting in the Willamette Valley, and only the second planting in the state of Oregon ? If you’re a Fanfare Club member, we can make that happen. We’re expecting somewhere between 12 and 15 cases of 2018 Helios. That means it is the 2019 Fanfare Club Exclusive Wine Selection, and will be available on allocation due to the limited quantities. It’s priced at $38/bottle and is available for purchase now. Contact Dave or Sara by phone or email to reserve your piece of history today! Pucker up and bring the Willamette Valley’s first ever Seyval Blanc to your lips! By the way, if all this sounds familiar, we were featured in the June 2018 issue of the Oregon Wine Press, along with Girardet Vineyards, which has the original planting of Seyval Blanc in Oregon from back in the 1980s. 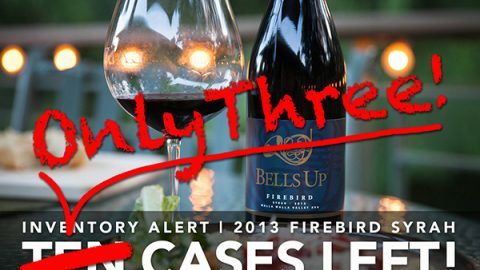 Just 3 Cases of 2013 Firebird Syrah Remain! LAST CALL: Fanfare Club Founding Member level closes at Midnight, New Year’s Eve. The OLCC License is HERE!